Important French online media ResMusica has announced the best releases for 2012. 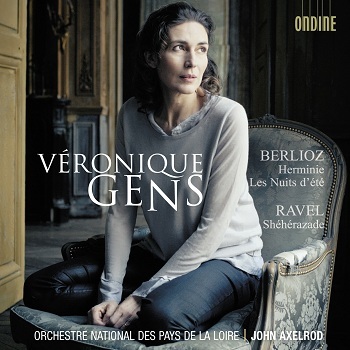 The CD of the Year is the Ondine release with Véronique Gens and the Orchestre National des Pays de la Loire under John Axelrod performing Berlioz and Ravel (Ondine ODE 1200-2). The title is also nominated for the 2013 International Classical Music Awards (ICMA) in the Vocal Recital category.